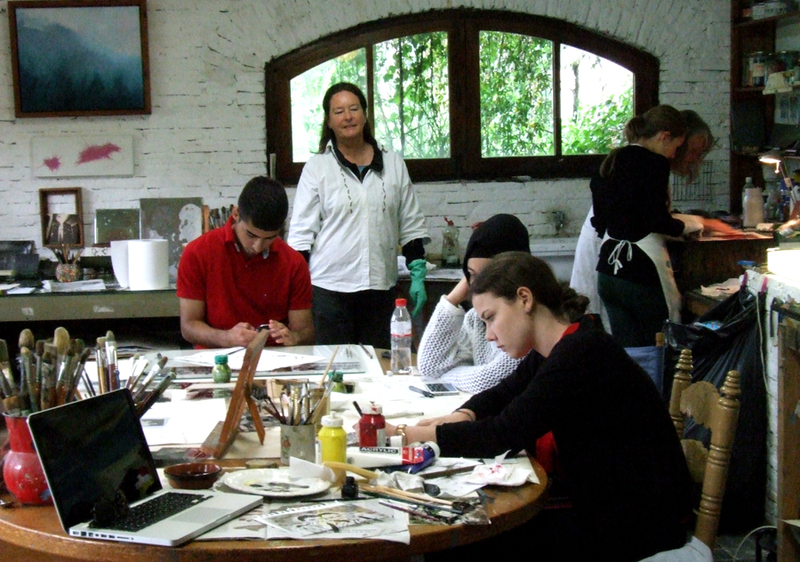 Brenda Eubank-Ahrens showed up the other day with the cream of her art class at the International School of Bremen in tow. It’s the third year running that she has brought her current crop of young artists to Granada for a three-day workshop with Maureen. They–Christina, Suheda, Claire and Ali–took to solar-plate printmaking immediately. Even so, they were all pleasantly surprised when they saw the final printed results on the last day. Each one had his or her incredulous I-did-that? moment. Below is a display of photographs of the process inside and outside Maureen’s studio. See you next year, Brenda!